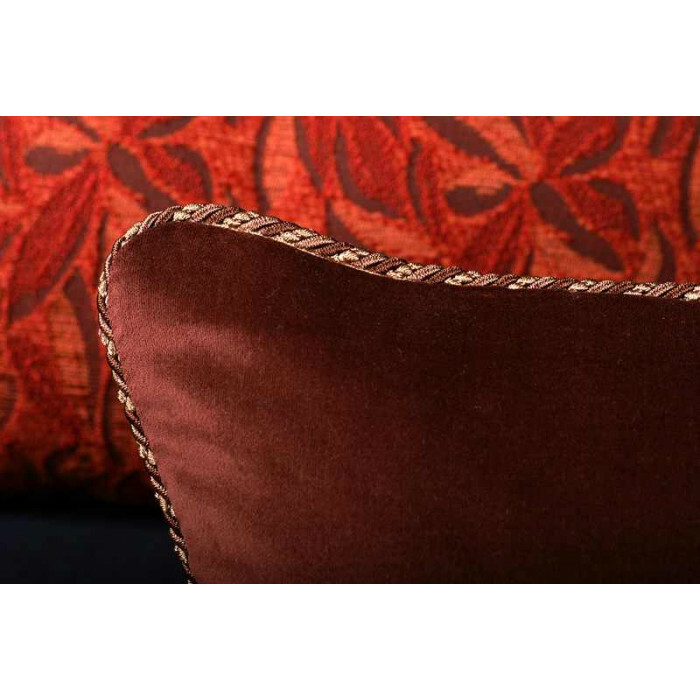 Elegant and exquisitely crafted Designer Pillows in a Bergamo Cut Velvet with plush Brunschwig and Fils velvet fabric. 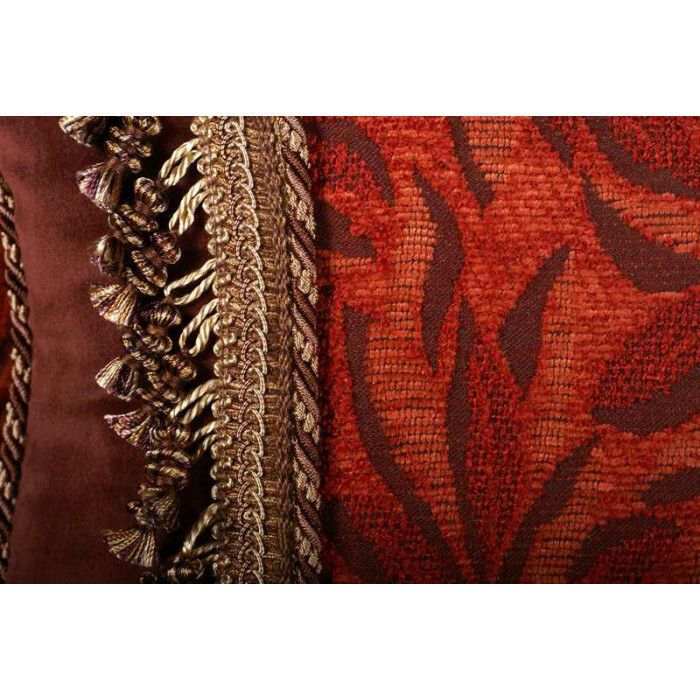 Enhance your home decor style with this elegant set of exclusive velvet decorative throw pillows. 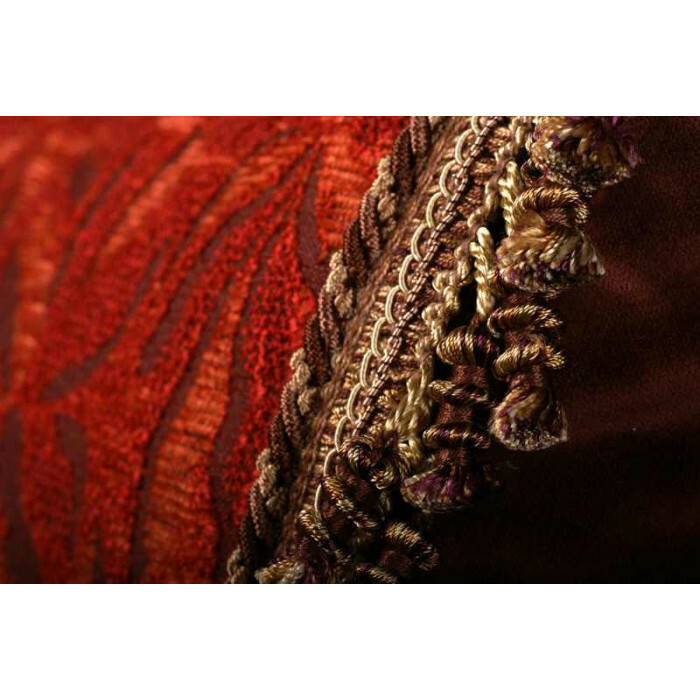 An intricate French cut velvet, the Bergamo is combined with a Brunschwig and Fils velvet and designer cord and tassel trims. 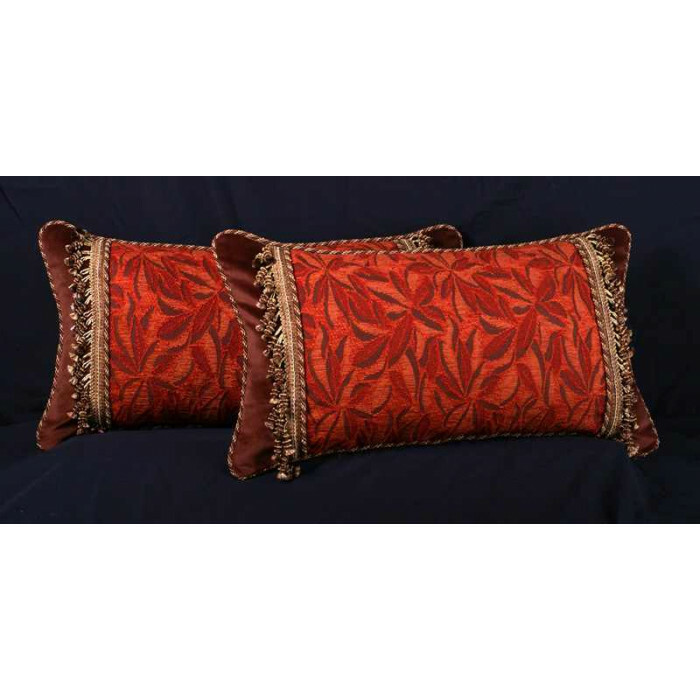 This is an extraordinary set of designer quality, decorative pillows. 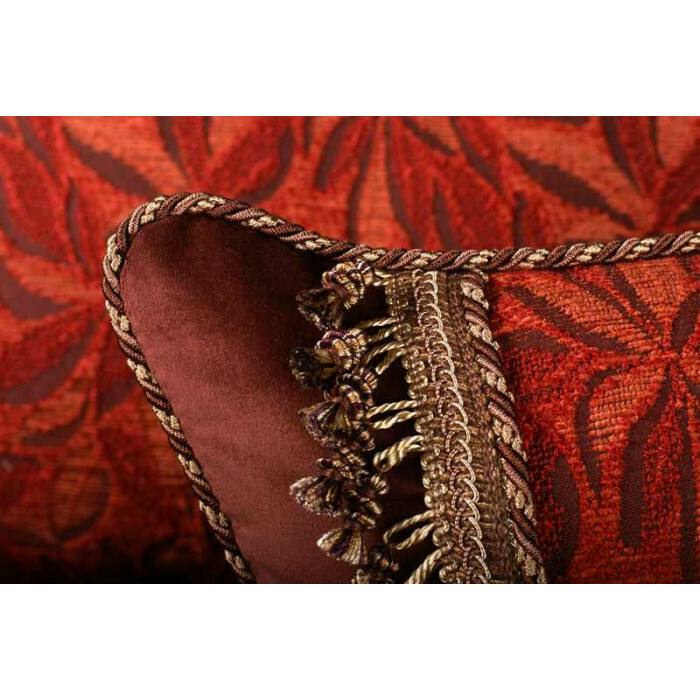 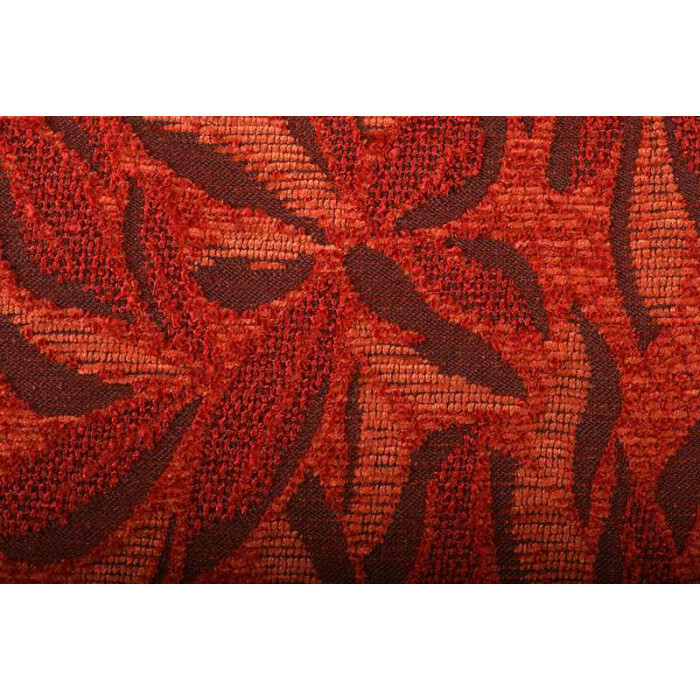 The designer cord and intricate tassel trims were hand selected to enhance the luxury factor. 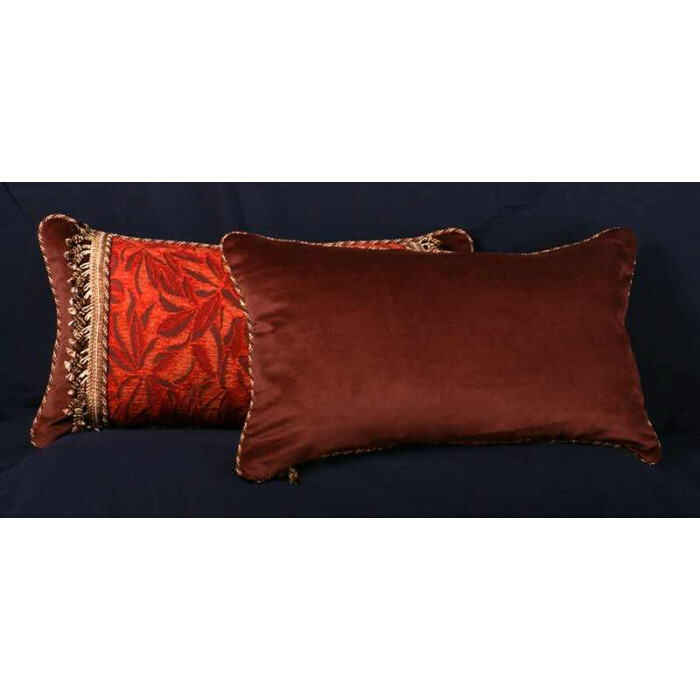 Pillows Size: 14" x 24"